The Iowa City Police Department is asking for assistance in identifying the two males in this photo. They left the store in a grey Mercury Sable. 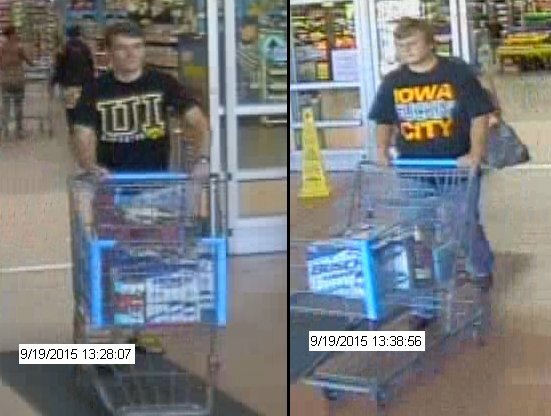 They are wanted for questioning regarding a theft of alcohol on Saturday, 09/19/2015 at around 1:30PM (ICPD #2015009926).